Recognizing potato farmers as an industry that is sometimes underserved or even under-appreciated in the advertising and marketing realm, Wise Business Plans is proud to announce that it's reaching out to these unsung giants of American agriculture in 2016 to encourage further market expansion. With more than 1 million U.S. acres used for potato farming, and production continuing to rise as consumption trends upward, the market is strong, but as with any industry, that can change in an instant without good planning. Wise business Plans is proud to be a partner in the sustained growth and financial management of this traditional, esteemed industry. "Whether fried, baked or as part of a fancy, complicated recipe, potatoes are more popular than ever, and the goal of U.S farmers is to produce a quality, flavorful product that helps feed a growing population," said Joseph Ferriolo, director of Wise. "We're pleased to play a part in this successful, important industry by providing potato growers an opportunity for growth and industry expansion with high quality business plans and services, designed and executed with each client's unique needs and requirements always at the forefront of our business." 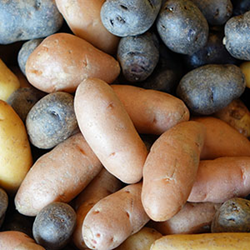 Updated agricultural research pinpointed to these growers is among the resources and services Wise has put in place to help potato growers in 2016. Other new offerings of particular note include learning series guides that can help artisan farms find funding or market more strategically. In addition, all Wise Business Plans are custom crafted by MBA qualified writers and graphic designers for entrepreneurs and businesses, and all include personal and professional financial planning to meet the specific objectives of each grower. "The importance of potatoes as a staple food product in the U.S., as well as in many other parts of the world, can not be overlooked, as they are also widely used in the production of snack foods and animal feed. Wise business Plans is proud to be a partner in the sustained growth and financial management of this traditional, esteemed industry," said Ferriolo.